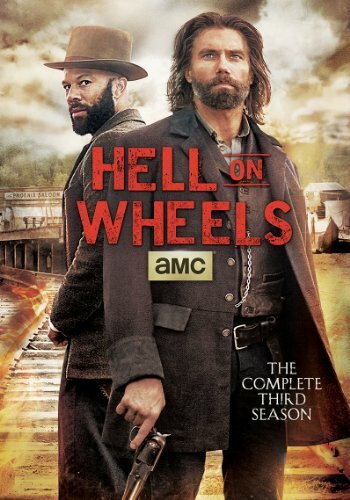 Credited for helping to modernize the Western genre, Hell on Wheels follows former Confederate soldier Cullen Bohannon (Anson Mount), whose quest for vengeance has led him to the Union Pacific's westward construction of the first transcontinental railroad. Reigning as one of AMC's highest rated shows, this award-winning series is episodic TV at its finest. Before Season 4 premieres on August 2nd, home viewers can catch up on all the frontier action and drama with Hell on Wheels: The Complete Third Season , arriving on Blu-ray and DVD this July, only from Entertainment One.